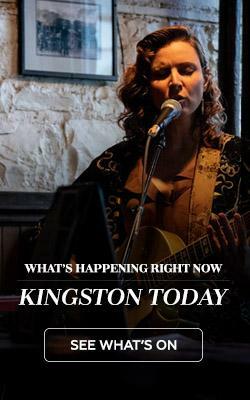 Kingston’s arts subculture is curious and lively. 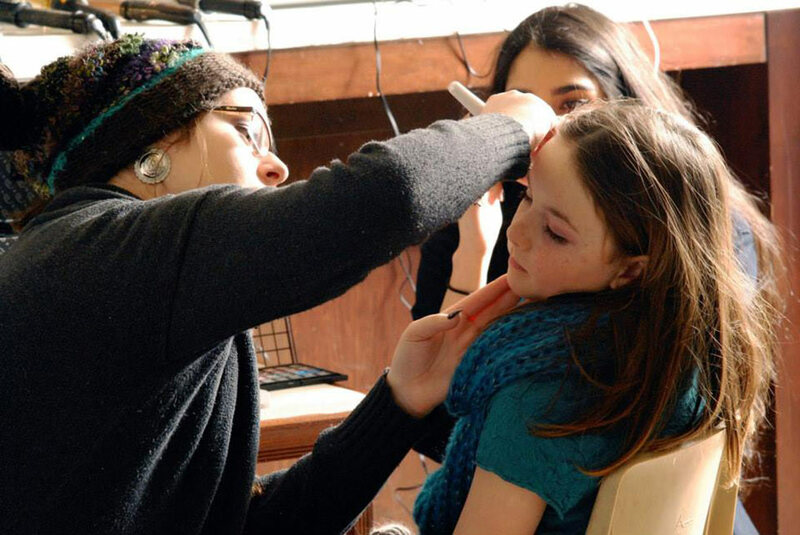 Take the Claire Closet for example, an eco-fashion movement for teen girls founded by life-time Kingstonian, Claire Bouvier. After winning a grant from the Awesome Foundation in 2013, the business is slowly taking its place in the downtown core as the newest, trendiest thrift society. With a mandate to “spread the awesome,” there couldn’t be much more to discover from a company promoting eco-sustainability and girls’ creativity. 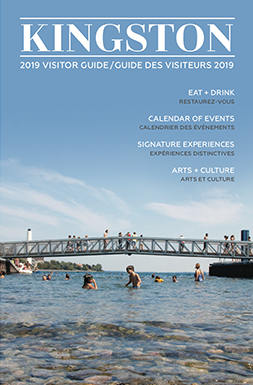 There is: the Claire Closet has partnered with two amazing companies, Value Village and Sustainability Kingston, to put together some entertaining and informative workshops, clothing swaps, and runway shows. 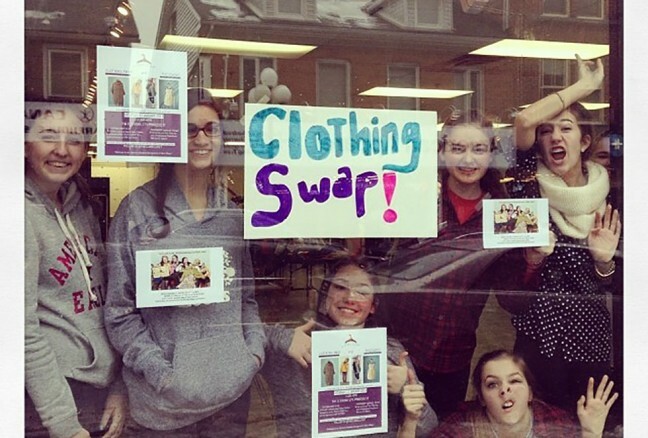 While Kingston is infamous for its parade of uniform skinnies and Uggs, last Saturday, the Claire Closet’s Clothing Swap shook up the scene: “Dress up and take a selfie”—read the signs hanging from three CC girls’ necks as they stood outside on Princess Street with a box of funky looking hats. 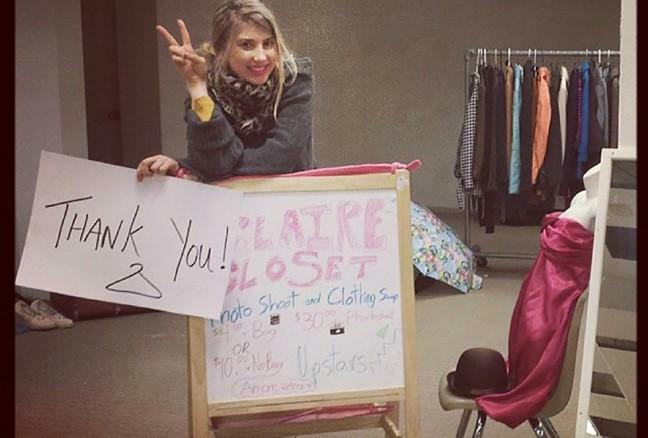 Behind the scenes of the Claire Closet Clothing Swap! As a university student, Claire struggled with self-image and felt pressured to wear what was new and trending. She discovered that thrifting could let her expand both her wardrobe and her personal style—without compromising her budget. 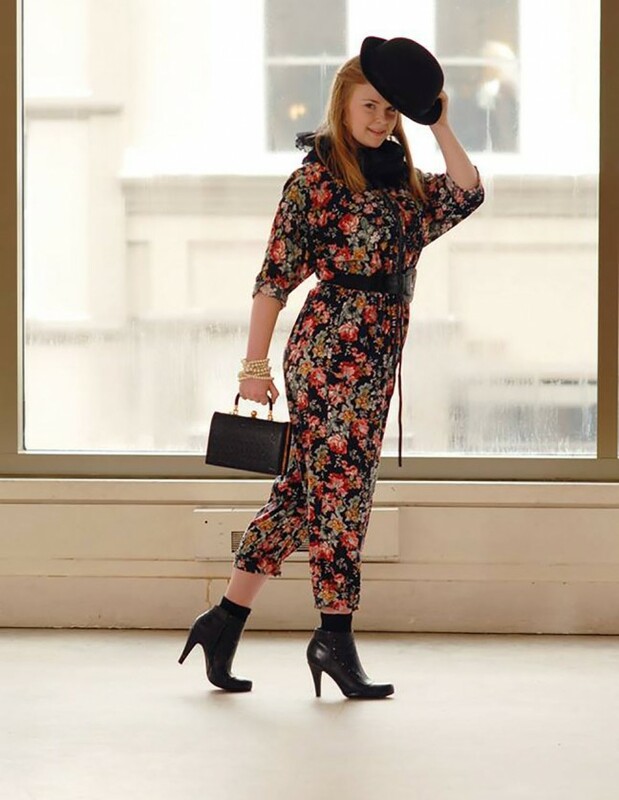 Claire was motivated to create the Claire Closet as a way of teaching teenage girls to be creative and eco-friendly with their personal styles. Just one of the fabulously thrifty ensembles found. Thrifting itself is a relatively new trend. Bill Ellison opened his first “thrift” store in San Francisco in 1954. As his movement commercialised, Savers became Value Village, with a first Canadian store opened in Vancouver in 1980. Did someone say hair and makeup? Value Village has been the centre of super savers (and famously costume hunters) for a generation, but there is a new movement of eco-friendly trenders that is taking thrifting to a whole new level. What the Claire Closet is doing is simply the next inevitable step in the sustainable fashion movement. Last clothing swap I picked up a cute yellow skirt. This Saturday I was back trading it in for a polka-dot, vintage one. As I watch the guests streaming in, I notice that one of the CC girls is wearing my earrings. Some of the wonderful participants of the Clothing Swap. In a world that is becoming increasingly commercialized, the thrifting trend is a fun way of staying on top of fashion, keeping a budget, and supporting sustainability. Come check out what the girls are doing at the runway show, March 1st at Value Village. For more information on their next Clothing Swap, check their website at www.theclairecloset.com.